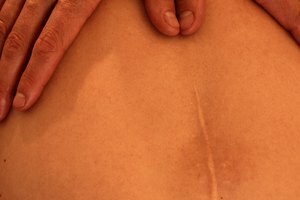 Scars, especially on the face, can really lower your morale. Scars that are a result of acne, chicken pox or other such skin ailments can often be treated with natural ingredients. This is often the best way to look after your skin. Honey in its purest form is a humectant as well as a natural anti-oxidant. Its application is extremely beneficial in looking after skin as well as getting rid of scars. 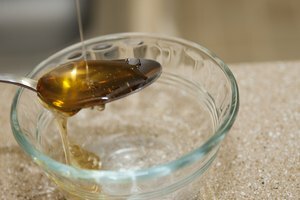 Each of the topical honey treatments suggested should be applied for about 10 minutes. All of the treatments require raw honey. Apply a warm cloth to the scars on your face. Gently rub in some raw honey after this. The heat will help in the absorption. Wash this off after a while with warm water. This also helps in coaxing your skin to renew itself, thanks to the pollen in the raw honey. 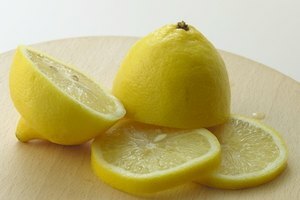 Apply a warm mixture of honey and lemon juice or cucumber juice to chicken pox scars. Mix honey with cinnamon and apply this to your skin regularly as a facial skin renewal treatment. Use honey to soothe the inflation around painful pimples and scars. Take 1 tsp. of honey mixed with warm water first thing in the morning. This is a great way to cleanse your system of toxins to help heal scars. Honey is also a wonderful way to keep wrinkles away. While honey does an excellent job on the outside, it does a lot when it is taken orally as well. Use honey as a sunscreen. Since it is a natural anti-oxidant honey works well as a natural sunscreen and protects you from harmful free radicals. One of honey's greatest advantages is that it does not feel sticky on the skin and can easily be rinsed off. When you apply honey to your skin rest assured that you are providing a nice healing environment. Honey slowly works at removing all signs of infection, no matter how severe. The fact that its pH level is so low means that it helps prevent the growth of bacteria that often lead to the formation of pimples and, subsequently, scars. Honey has a number of properties that make it the most sought-after ingredient in cosmetics. 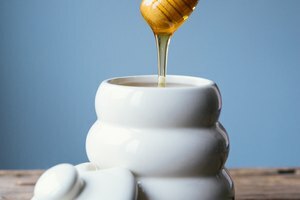 Honey naturally seals in moisture. Because it has antibacterial characteristics, it works wonders in healing minor wounds and is an accepted ingredient in cleansers.